Win her heart with this romantic Valentine's Day gift. 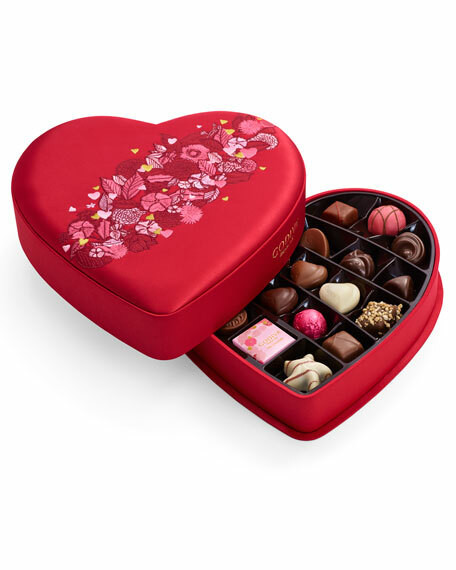 Godiva 25-piece Valentine's Day Fabric Heart is filled with an exceptional assortment of classic milk, dark, and white chocolates plus a special selection of chocolate truffles. Presented in a luxurious red heart shaped gift box. 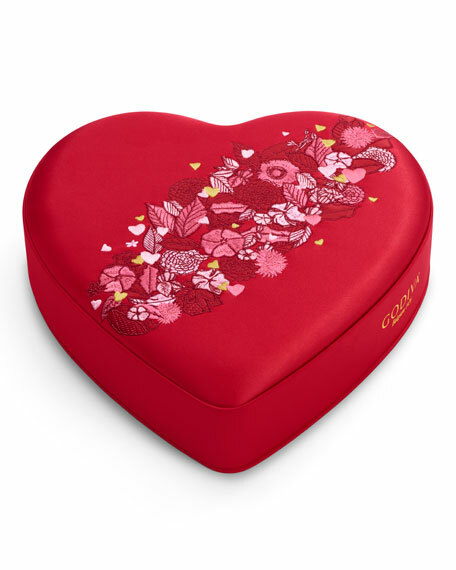 Heart-shaped fabric box filled with 25 assorted chocolates. 9.53"W x 9.4"D x 2.17"T.
Allergen Information: ALL of Godiva's dark, milk and white chocolate may contain: dairy or milk products, nuts and/or peanuts in addition to gluten. Any person with a dairy allergy, nut allergy or gluten allergy should NOT consume ANY of our products. Kosher OU-D. Contains milk, hazelnuts, almonds, coconuts, soy, pecans, walnuts, and macadamia nuts. May contain other tree nuts. For in-store inquiries, use sku #2909681.